Having a five-year age gap between Tigger and Piglet mean that we had to start again when it came to buying all the baby things we would need for her. Having had two children before and remembering just how quickly they outgrew their Moses baskets I was keen to find a better sleeping solution for Piglet. The Silver Cross Nostalgia Crib seemed the perfect solution, take a look at my first impressions. Piglet has now been using the Nostalgia Crib since she was two days old, so I thought I’d share my thoughts on the crib, how we are finding it and most importantly whether Piglet is enjoying her time in there. When Piglet sleeps within in the Nostalgia Crib I like to use the quilted coverlet that comes with the crib – I opted for the elegant white as it really makes the crib look elegant and classical. 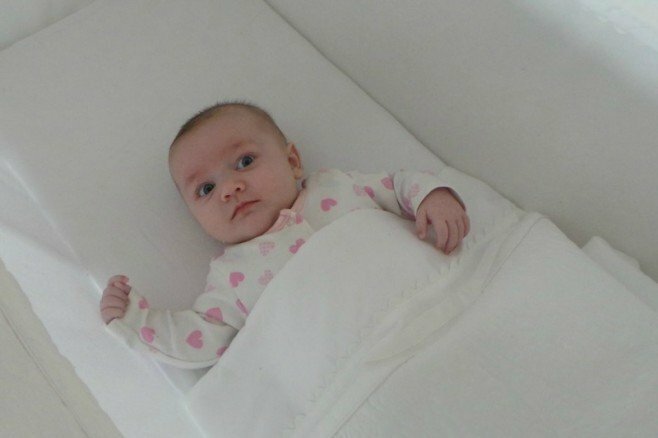 The beautifully soft, lightweight cover matches the feel of the classic crib whilst giving the baby the warmth required whilst they are sleeping. Personally, I would prefer the coverlet to be a little larger as I like to tuck the edges down the side of the mattress to secure Piglet in place whilst she sleeps. At the moment, there is enough fabric to do this, however, as she grows this won’t be possible. At first glance the sheer drape just looks like it has been added for decoration, however, I have found it far more useful. We have the Nostalgia Crib set up by our bedroom door, the sheer drape acts as a diffuser against the light from the hallway when the door is open. It also provides some help in stopping the draft from the doorway disturbing her when she is sleeping. One of the things that attracted is to the Nostalgia Crib was the solid wooden frame structure. Having previously used Moses baskets we were aware of the creaking noise that they make when the baby moves, which not only can disturb the baby but the parents too. The solid frame on the Nostalgia Crib provides a secure, solid and noise free place for the baby to sleep. I would love to see the option to purchase baskets to fit underneath the frame for storage of bedding and some baby essentials. To get around this we have added a canvas under bed basket to store Piglet’s extra bedding and night-time changing supplies in so that there are to hand when we need them. The Silver Cross Nostalgia Crib with its soft padded mattress has provided Piglet with a comfortable place to sleep, which she has settled into beautifully. Whilst we are still in the midst of newborn days and night-time feeds she is tucked up several times a day into the crib and manages to have some restful sleep (good for both her and Mummy). The deep sides and long length of the Nostalgia Crib mean that Piglet will be able to use the crib for many weeks to come. Usually by the time we get to 10-12 weeks we have had to transfer Roo and Tigger into a cot as they had outgrown their Moses Basket, however, I won’t feel we will have this issue for Piglet as she still has plenty of room available within the crib. One thing that several people have commented on is the traditional beauty of the crib and how it looks like a piece of furniture rather than just a basket on a stand in the corner of a room. The build quality on the crib is outstanding and it is lovely to know that should we not have any more children we can put this away ready for when we gain some grandchildren. 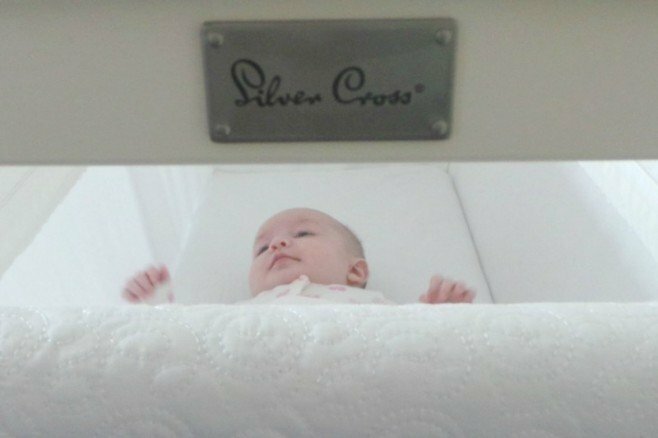 The Silver Cross Nostalgia Crib is priced at £249.00 and is available direct from Silver Cross, John Lewis, and all other good baby retailers.